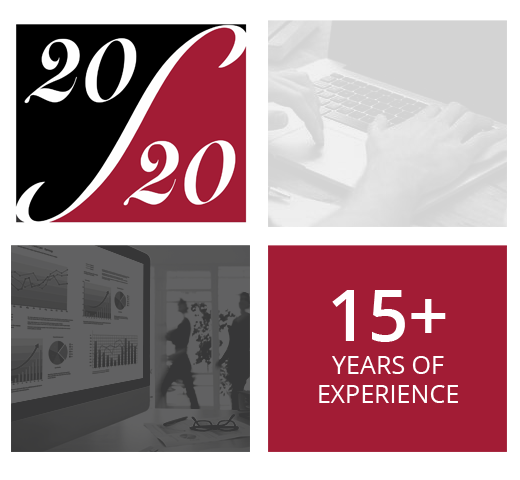 20/20 Solutions, Inc. has over 15 years of experience providing Information Technology, Website Development, and Marketing Services. We bring a unique set of skills under one roof to help our clients resolve their operational issues. Our key management team has over 50 years of combined management experience across multiple fields and industries. Our clients include the Government, Education, Manufacturing, Healthcare, Food Service & Hospitality. Regardless of size or industry, our clients rely upon us to implement and support the technology they need. Certified SBE/ WBE in the State of New Jersey.